Easter surprise for handball fans intending to go to the Women's EHF FINAL4 2018 on 12/13 May in Budapest: The Hungarian Handball Federation has announced that all remaining ticket sector including the mobile grandstand have now been opened for sales. 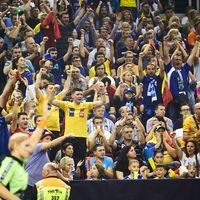 Ticket demand for the showpiece event in the Pápp László Budapest Sportaréna is constantly increasing and the only sectors which are kept closed are the four reserved for the four participating teams. 12,000 fans are expected when Europe's four best women's teams fight for victory in the Women's EHF Champions League. Tickets are available in four price categories and can be bought at www.ehfFINAL4.com.